[toc]One of the many issues due to which a person undergoes a lot of diseases and infections is that of poor blood circulation in the body. Starting from simple illnesses to even the most serious and fatal ones, poor circulation is the root cause for many. One of the best ways in which you can improve on the poor circulation in the body is to have plenty of water. About 10-12 glasses of plain and filtered water are recommended in this situation that will regulate the body functions along with increasing the blood flow. Apart from this, fresh fruit juices, herbal teas and coconut water can also be consumed for triggering the outcomes. Hydration is the key to good blood circulation. Another easy and effective home remedy that can be followed in the case of poor circulation of the blood in the body is to use a warm water shower everyday. This will help in relaxing the muscles of the body and the blood vessels thus improving the blood flow considerably. One can also try taking alternative hot and cold showers for getting the same benefits in hand. It is supposed to get rid of poor circulation as well. A cup of freshly made ginger tea and ginger root with salt are some of the ways in which you can reap the benefits of this natural product where poor blood circulation is concerned. 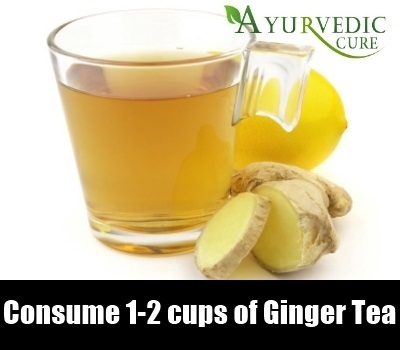 Herein, researchers show that having 1-2 cups of ginger tea helps in achieving the goals in an ideal manner. Ginger candies can also be kept handy for the purpose. Garlic is another of the items that can be used in home remedies for improving the poor circulation that you are undergoing. 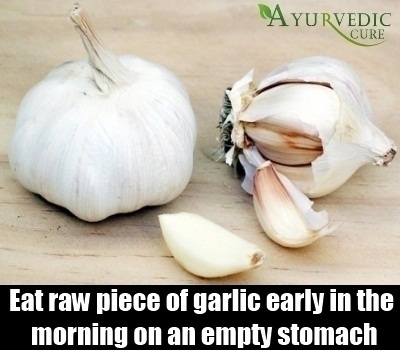 Either you can take a raw piece of garlic early in the morning on an empty stomach that also regulates the body functions and keeps illnesses in check or else mix it with various dishes all throughout the day. This is going to give you a lot of advantages in hand. 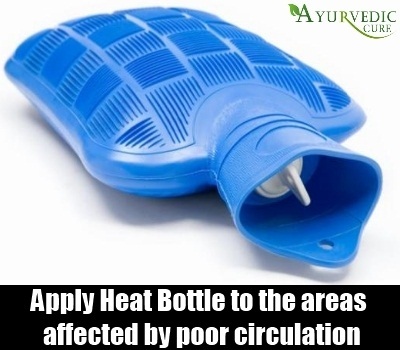 A hot water bottle or bag can be used in areas that are specifically affected by poor circulation. This can be done for about 10 minutes to improve the circulation. Follow it several times in a day to get excellent outcomes. It also relieves the body from pain and discomfort as added benefits. A massage from a professional will give you results that are more than expected in the case of poor circulation. You can always use an essential oil as a lubricating agent to get the body going. It should be done everyday till the problem subsides completely.